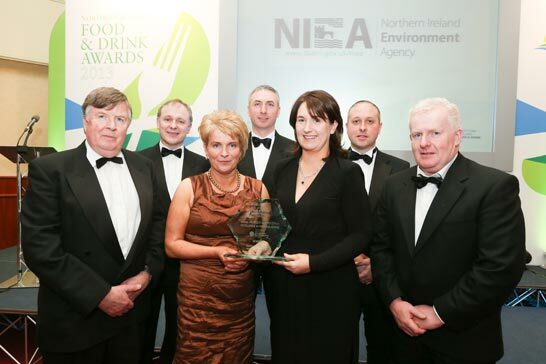 Northway Mushrooms has become the first ever horticulture winner of the Northern Ireland Food & Drink Awards Supply Chain Excellence Award in recognition of work to support producer development, improve product quality and partnership working with customers. Northway representatives at the awards ceremony – front row – George McGuiness, Mary Fegan, Elaine Shaw, Gerard Fegan, Back row – David Dallas, Frank Donnelly, Declan McKeever. 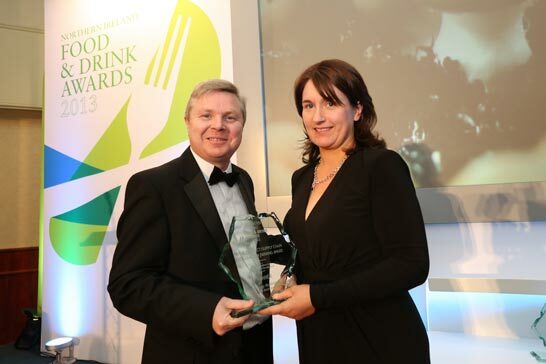 The Northern Ireland Food & Drink Awards are the Oscars of the NI food and drink industry and they recognise innovation and excellence across 14 different categories. The Supply Chain Excellence award was open to organisations or groups of businesses who could demonstrate improvement of supply chain linkages that delivered clear benefits to producers through innovative initiatives and cooperation with supply chain partners. Elaine Shaw of Northway Mushrooms says the award is a recognition of the benefits of a Producer Organisation approach within the horticulture industry. “Before Northway was established growers marketed mushrooms on their own with no collaboration or partnership working, resulting in higher costs and higher risk. Our role as a Producer Organisation includes organising and co-ordinating support and advice which would be largely inaccessible to an individual business, and we make smaller farms more accessible to wholesalers and retail multiples. “Activities such as formal production planning to anticipate supply, specialist picking training and plant health support have improved product quality and helped members become more responsive to market demand.